You can use Ermes Rice for side dishes, fresh salads or fish. Ermes rice is rich in antioxidant anthocyanins. It has significant amounts of iron, making it very effective in fighting cases of anaemia or fatigue. It’s a source of magnesium, a mineral salt that is a regulator in many organic functions., and also source of fibre and phosphorus. 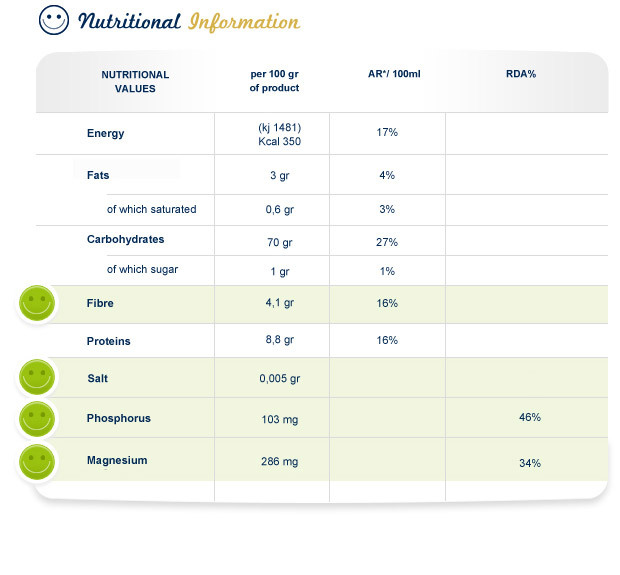 With 100 g of Ermes Rice we take a good quantity of fibres (about 16%) and of mineral salts.